schools in a smooth and easy way as well as offers some tips for you to travel within the city or around the country. Guangzhou Baiyun International Airport has an average annual passenger flow volume of about 25 million. Departure Hall, you can see a big electronic screen, on which you can see the flight information. rmation for return flight, designated assistance on check-in, as well as reception of irregular flights, etc. There are 4 check-in islands and 102 check-in counters in the International Departures Hall. All international flight passengers board though the East 1 Concourse of Area A. There are some useful tips which will help International students get though the capital airport processing. There are various methods to book the air ticket. Centre on first floor, No. 430, Huang Shi Dong Road. Second, you may book the air ticket in the booking offices at major hotels. Third, you may get the fast and reliable booking service from a lot of travel agencies. by various airlines in the Guangzhou Baiyun International Airport. How to get to your university from GBIA? the Airport Express train, airport shuttle bus, and by taxi. If you arrive in GBIA, you can book an airport pick-up service with SICAS. convenient transportation for passengers to and from Guangzhou Baiyun Airport. are running between GBIA and downtown area. A Guangzhou taxi charges RMB 7 for the first 2.3 kilometers, and RMB 2.6 for succeeding kilometers. about RMB 100 from the airport to Guangzhou Railway Station. zhou South Railway and Foshan City. communication inside Guangzhou. You can visit Google online map to check the specific routes. RMB 1 is claimed as the fuel surcharge. As for domestic travel, trains and ships should be on your list of choice. Lhasa and many other China cities. bullet trains between Guangzhou and Shenzhen. mainly operating bullet trains between Guangzhou and Wuhan. to you to take your own food on the train, such as instant noodles, fruit and sausages. In China, buying a ticket is sometimes both confusing and time-consuming, especially during the holiday peak seasons. 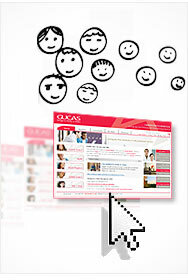 email to service@sicas.cn in case of questions. on the way. You're able to travel to more than 100 domestic ports and over 300 foreign ports from Guangzhou. passenger liners between Guangzhou and Hong Kong daily. Huangpu Port offers ships to Xiuying Port, Haikou. Those who're looking for a ferry travel can dial +86 20 3468 9032/3468 9035.
station mainly operates bullet trains between Guangzhou and Wuhan. with air-conditioner. The public bus in Guangzhou charges RMB1 to RMB 2. A Guangzhou taxi charges RMB 7 for the first 2.3 kilometers , and RMB 2.6 for succeeding kilometers. Moreover RMB 1 is claimed as the fuel surcharge. with a dozen of bus routes with buses mainly running from and to the city centre of Guangzhou.